The British pound surged on Monday, climbing by as much as 2.18% against the dollar, after an opinion poll over the weekend suggested the U.K. was leaning toward voting to stay in the European Union in this Thursday’s referendum. Sterling was trading at $1.462 at 0930 GMT, setting the pound on course for its strongest one-day rally since 2009 and the financial crisis. Amid huge volatility, the pound has rallied nearly 4.5% since last Thursday when the currency had fallen below $1.41, as polls showed U.K. opinion was firming toward a so-called Brexit. The U.K’s vote on its EU membership is now three days away and traders and investors are girding for a volatile week. “This is a fairly short-term movement. I think [the pound] can still move in either direction,” said Kosuke Hanao, head of FX at HSBC in Tokyo. Last week, sterling volatility reached levels last seen during the height of the financial crisis. The measure is based on the cost of options contracts on sterling and recent levels display the extreme uncertainty about the vote’s outcome and how sterling would react. The pound could come under selling pressure if a poll points toward a vote to leave, said Osao Iizuka, head of FX trading at Sumitomo Mitsui Trust Bank. Monday’s gain “isn’t the type of movement that could become a trend,” he said. Two polls released over the weekend suggested recovering support for “Remain.” A phone survey by Survation gave a three-point lead to the pro EU campaign, at 45% to 42%. An online poll by YouGov gave a one-point lead to “Remain” at 44% to 43%. Surveys by both pollsters had “Leave” leading in their previous surveys. Another online poll by Opinium put the campaigns drawn at 44% apiece, after showing “Remain” two points ahead in its last poll. Traders have also been watching betting odds. Last week, the odds of a “Leave” victory offered by Betfair suggested a probability of 42%, the highest yet seen in the campaign. That fell to 25% on Monday morning. Sterling has borne the brunt of trading around Brexit, with analysts expecting a steep fall in the currency if the U.K. votes to exit the EU. Most economists predict that the U.K. economy would be hit hard if Britain votes to leave the world’s largest trading bloc. Those advocating a Brexit say that in the longer term the U.K economy will thrive as it carves its own trade deals. But the pound is particularly vulnerable, because of the U.K’s large current-account deficit, which was equivalent to 7% of GDP in the final quarter of 2015, the biggest since records began in 1955. A nation with a current-account deficit has to borrow from abroad to finance that gap. If investors are put off investing in the U.K.–and funding the current-account deficit–the value of sterling could decline dramatically. The British Treasury said sterling could fall by 12% in the event of a vote to leave the EU, and analysts at HSBC predict a decline of up to 20%. But the trading picture could be complicated by potential action from central banks. A sharp fall in the pound and a jump in safe-haven currencies such as the Japanese yen and the Swiss franc could also trigger coordinated international currency intervention, dealers say. I think the initial reaction may be selling [of sterling], but there would be fluctuations in the case of an exit,” Mr. Hanao said. 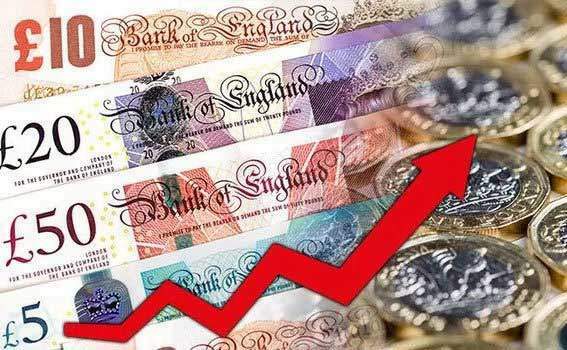 The pound is also up against other currencies, rising by 1.35% to EUR1.29 against the euro, and up 2.19% to Yen152.8 against the Japanese yen. Trading foreign exchange on margin carries a high level of risk and may not be suitable for all investors. The high degree of leverage can work against you as well as for you. Before deciding to trade foreign exchange you should carefully consider your investment objectives, level of experience and risk appetite. @2019 - www.pipspread.com. All Right Reserved.